I hope you haven't been throwing away the loads of junk mail that's been filling your mailbox for the past month. 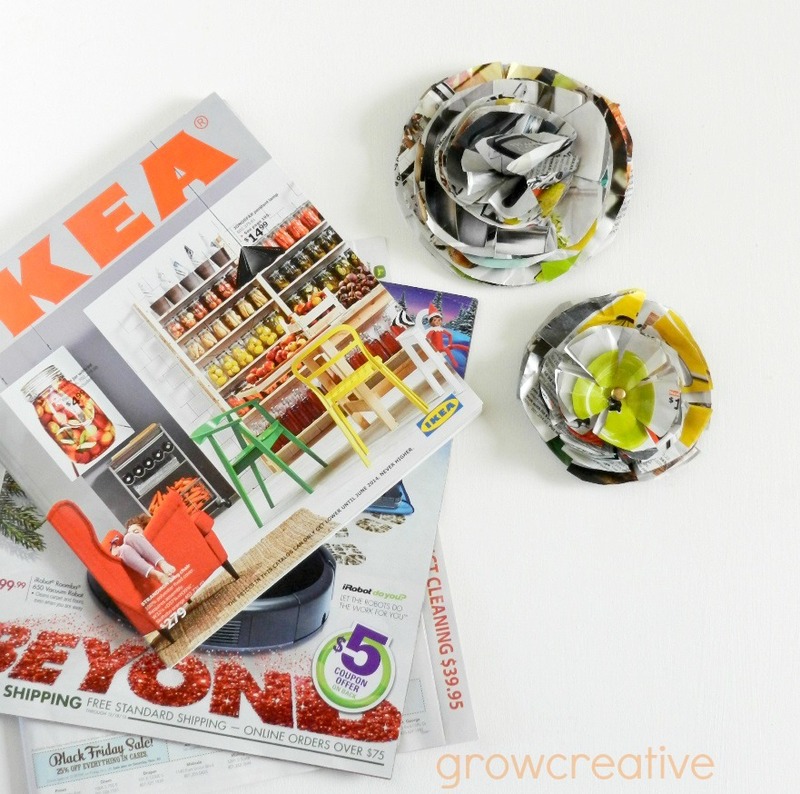 I have the perfect thrifty decorating project to use up that junk mail on! Step 1: Grab a stack of junk mail 8-10 pages thick and cut out three sizes of circles from it: one large set, one medium set, and one small set. Step 2: With each circle set, cut five small triangle slices towards the center, but don't cut all the way into the center. You want to leave room in the middle. Step 3: Starting with the smallest circles, stick an unopened brad through the center. I could only get the brad through 2-3 layers at a time. Step 4: After getting the brad through the smallest circles, stick it through the medium and then large circles. Turn over and open the brad to secure it in place. 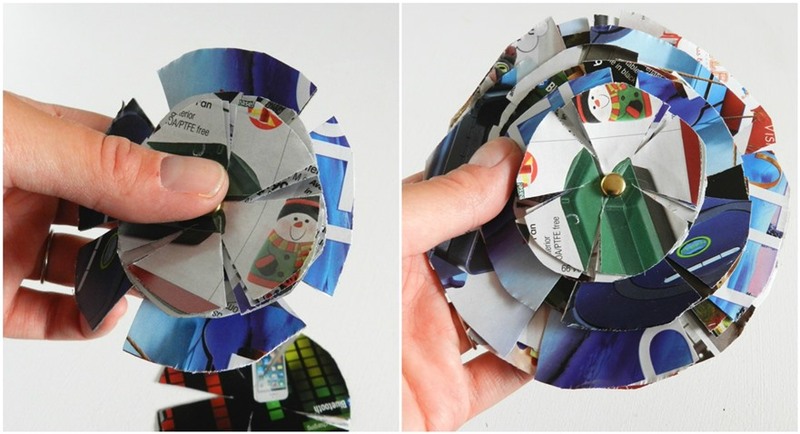 Step 5: Gently fold or curl the layers of your junk mail flower to give it some texture. All done! You can string these little flowers up on a garland to decorate for the holidays or use then as bows for gifts. Perfect! 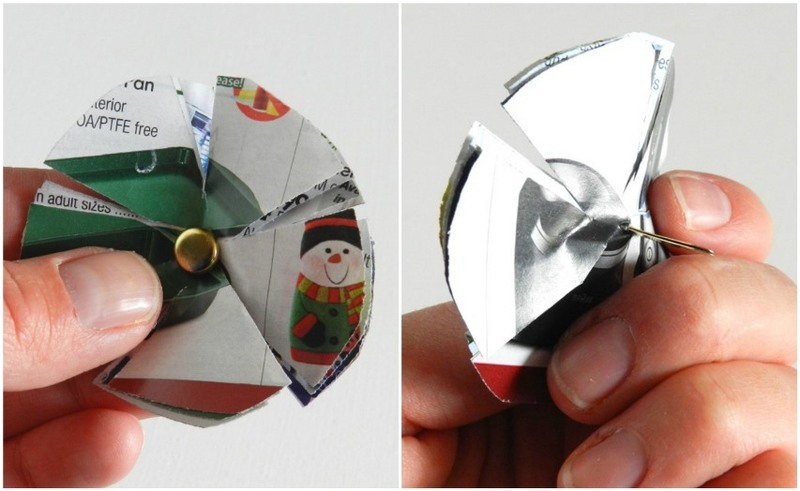 Check out my Junk Mail Snowflakes Post for another cheap decorating idea. So creative! I like the idea of using them as bows for presents. What a great use of junk mail . . .we all certainly have the supplies for this project, LOL. many thanks - I like it very much!